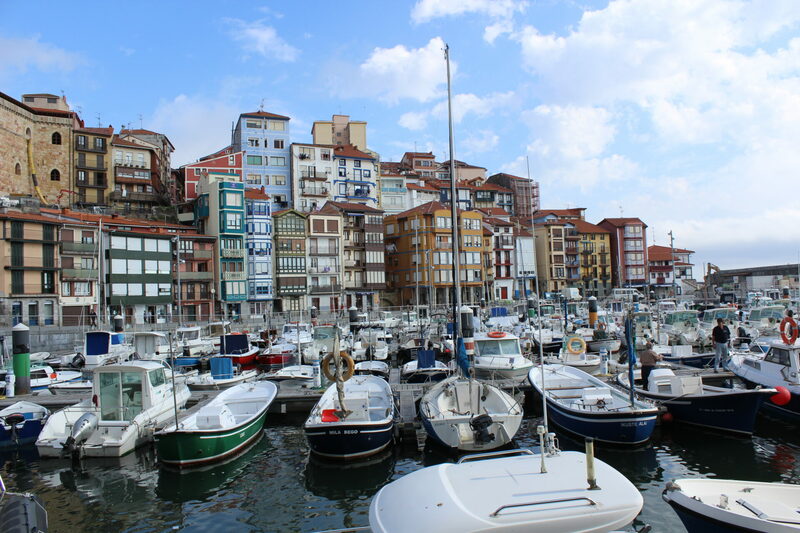 The second time in Bilbao, I spent more time exploring the area outside of the city and less walking through the city itself – this time in Gernika and Bermeo (and Rioja). 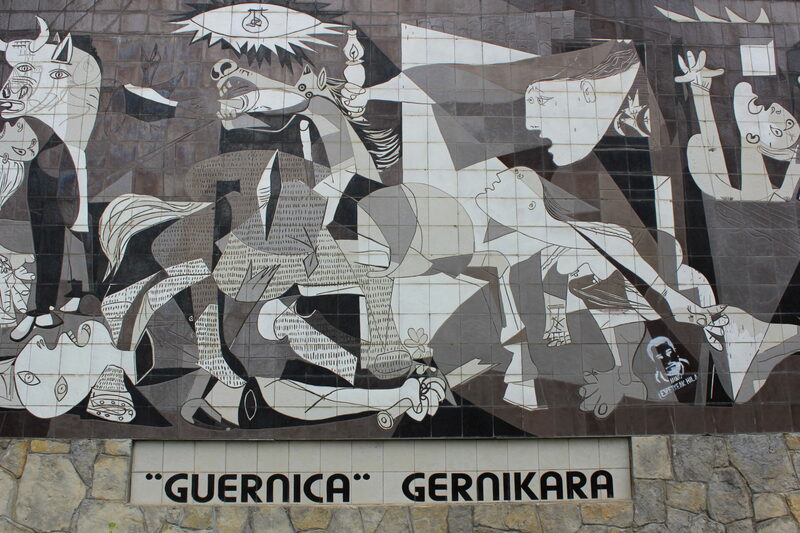 After breakfast, Leslie and I went out with Aitor by car to view some more seaside villages and Gernika (Guernica), which was bombed in the Spanish Civil War and was the subject of Picasso’s famous painting. 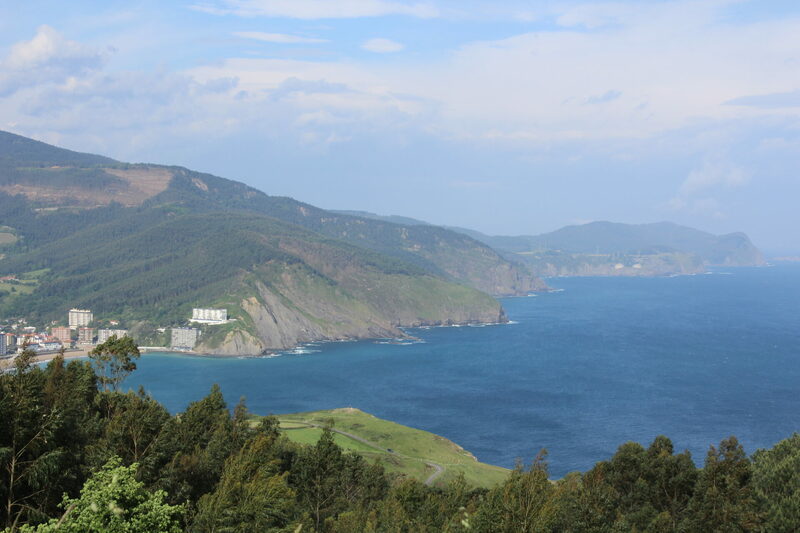 On our way to Gernika, we took a windy mountain road to see more scenery through Bermeo. Aitor had us stop at an amazing restaurant on top of a hill overlooking the Atlantic – there was a fancy restaurant right next door to a seafood take-out picnic place, similar to what my parents and I like to enjoy in Malibu, CA. The name of the restaurant is Eneperi. 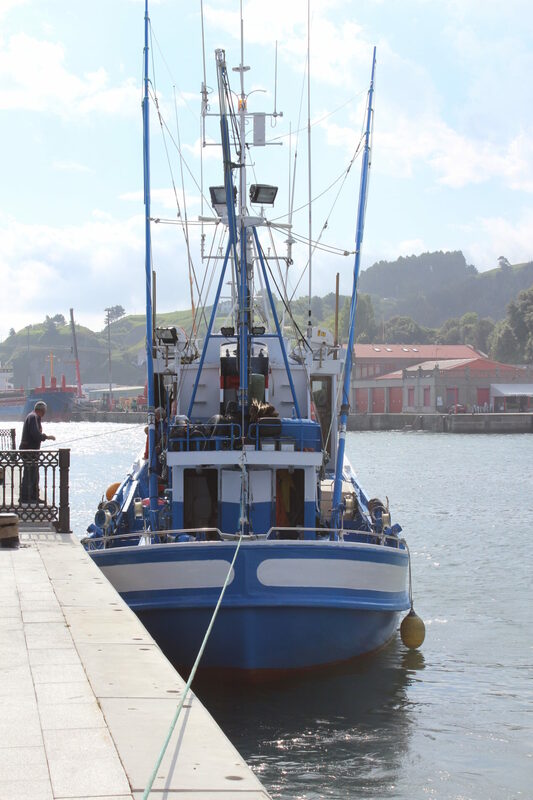 In Bermeo, we enjoyed a walk around the waterfront and saw many fishing boats hard at work. 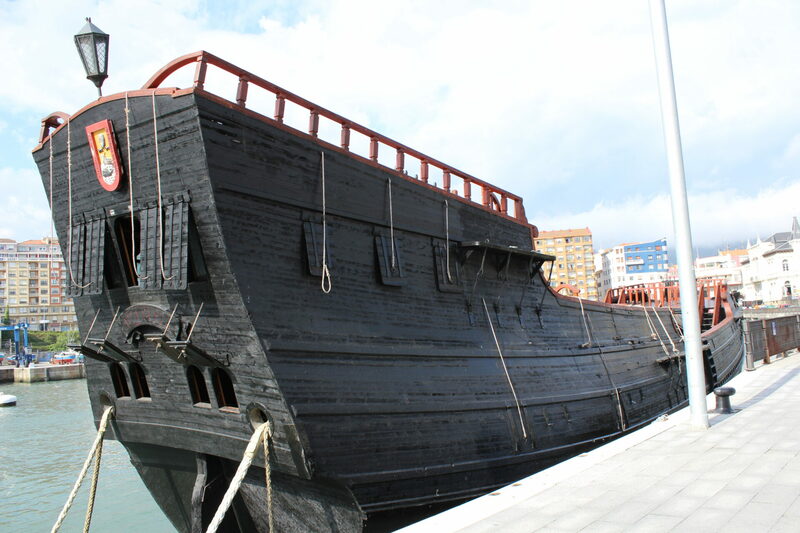 There was also a reproduction of a Spanish Galleon Ship docked at the harbor. After our walk we drove on to Gernika to see the Meeting House and famous Tree of Gernika. 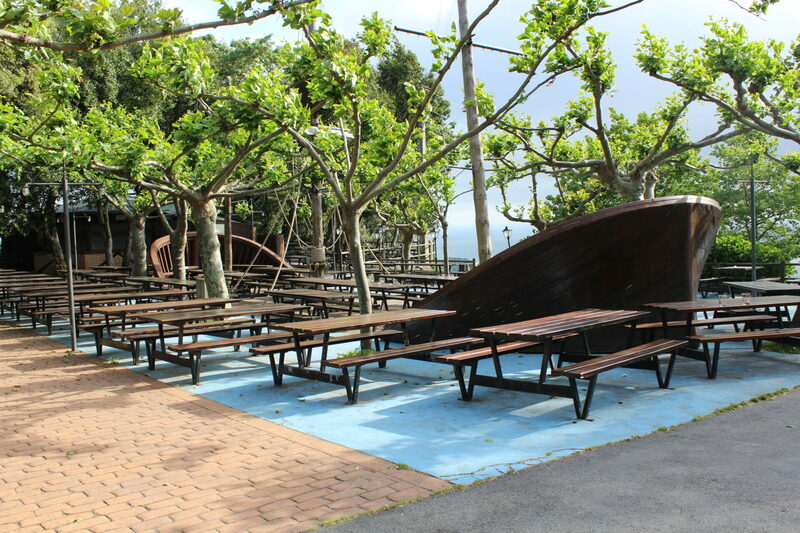 Throughout Biscay, districts have adopted trees that represent them – as such, the oak tree was chosen for Gernika, as serious community matters and discussions of state traditionally took place under one of these trees. 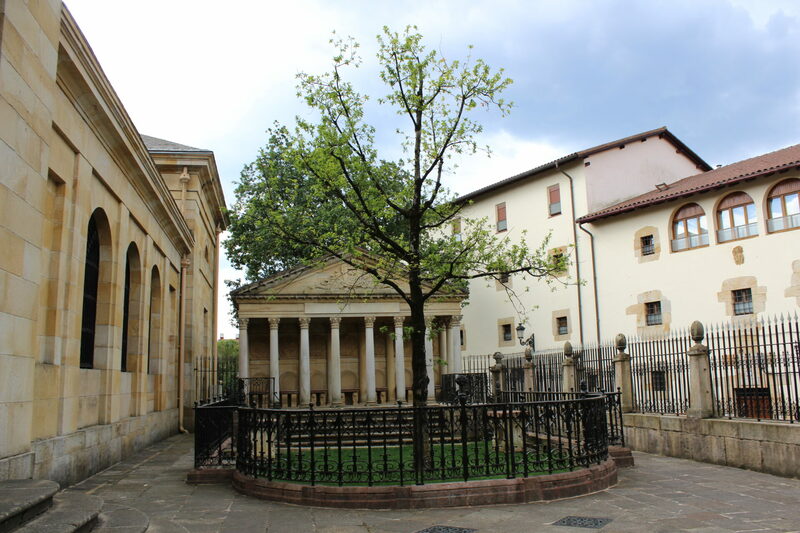 Kings came to Gernika to swear oaths under this tree and laws were made under this tree, the Gernikako Arbola. This particular tree in Gernika, standing next to the Meeting House/General Assembly area is not the original tree, however – even though it (and the Meeting House did survive the bombing of the town). The great grandfather of the famous tree sits near a shrine/alter in the general park area. Inside the Meeting House we saw pictures of all the Spanish Kings that came to Gernika to recognize Basque independence. It was impressive. 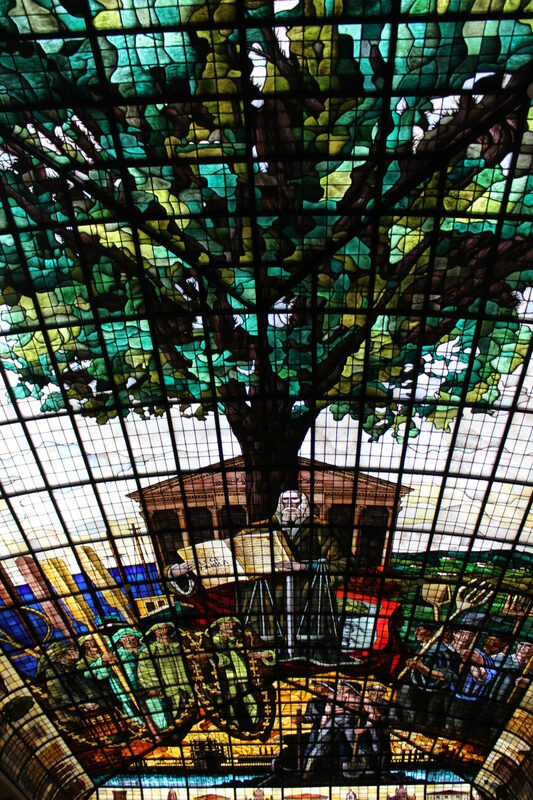 We also saw a beautiful stained glass homage to the famed oak tree. A little ways down the road we visited the reproduction of Picasso’s “Guernica.” The writing underneath says “Gernika for Gernikans” – a tongue in cheek comment about bringing the original painting to rest in Gernika rather than in Madrid (Museo Reina Sofía) (and previously Paris). This was really a lovely visit. We drove back to Bilbao to pick up Marv for a quick Bilbao city tour (mainly by car) and lunch. We started out by visiting the Alhondiga. It was an homage to multi-culturalism and modernism. 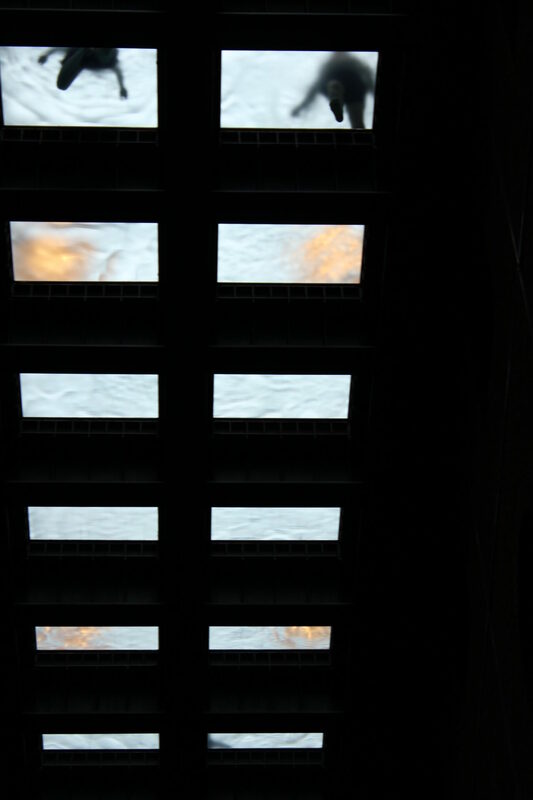 I particularly enjoyed the swimming pool above our heads. Afterwards we made a small boondoggle for Marv to get a haircut. He was proud of what her termed his “Basque sideburns,” named in honor of Aitor. We had lunch in the plaza square (Plaza Nueva) at Victor Montes. We had a typical pintxos lunch (2 each) and Rioja Tempranillo in honor of our onward journey to Rioja in the afternoon, which I’ll cover in a separate blog on Rioja (two visits). We ate at a Chinese restaurant, Old Shanghai on Ledesma Street. We continued the family tradition of always eating at a Chinese restaurant while traveling overseas (also carried out in Uganda, our last trip). The food was just OK but it was a needed change from Basque cuisine. 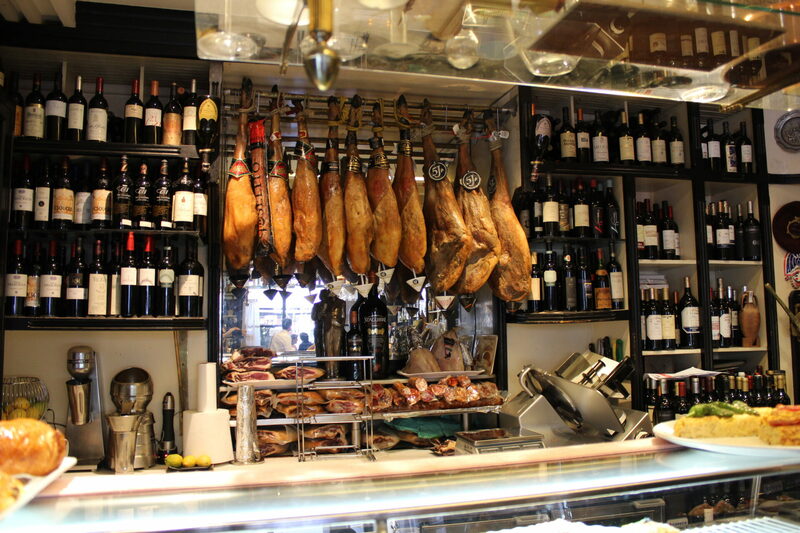 We were all tired of pintxos and tapas, and especially ham. 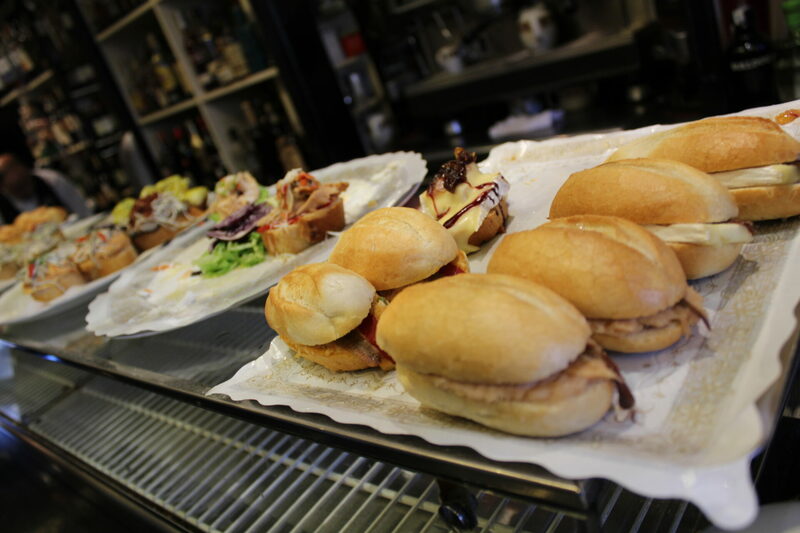 When we read the TripAdvisor reviews for Old Shanghai, the first few entries focused on that exactly: “Tired of pinchos…” and “Excellent if you’re “pinxo”ed out!” That was good enough for us. 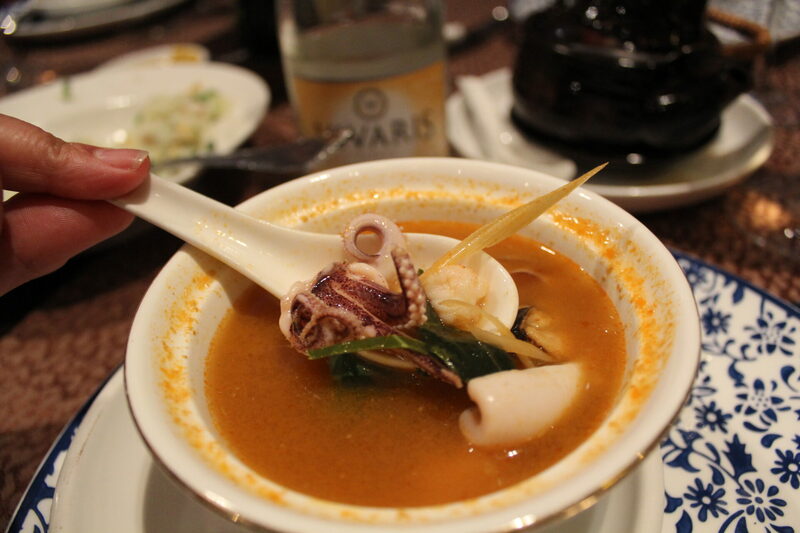 Pulpa (octopus) made another fun surprise appearance in my Thai Tom Yum Khung soup. It was actually OK.
We over-ordered and had a pile of Thai spicy chicken and tofu shrimp leftover. As it’s not the custom in Spain to pack food up, we let it go. It was a nice change I have to admit, but I prefer the Chinese American style of food over this.